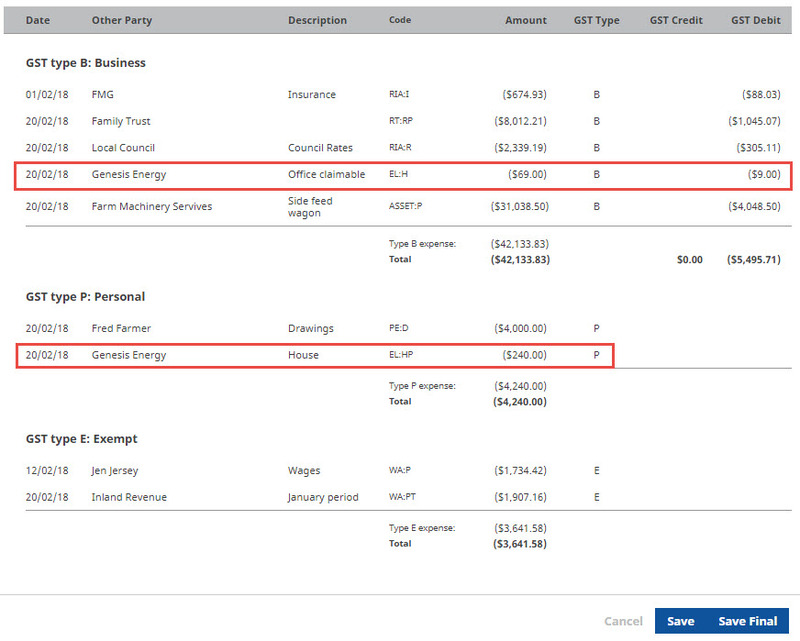 Cash Manager Focus makes GST reports easy; the bulk of the work has already been done as you enter and code information in the Actuals screen. If the balance in Focus matches your bank balance, all you need to do is review the report before filing your return with IRD. Select the GST report that relates to the period you're filing. 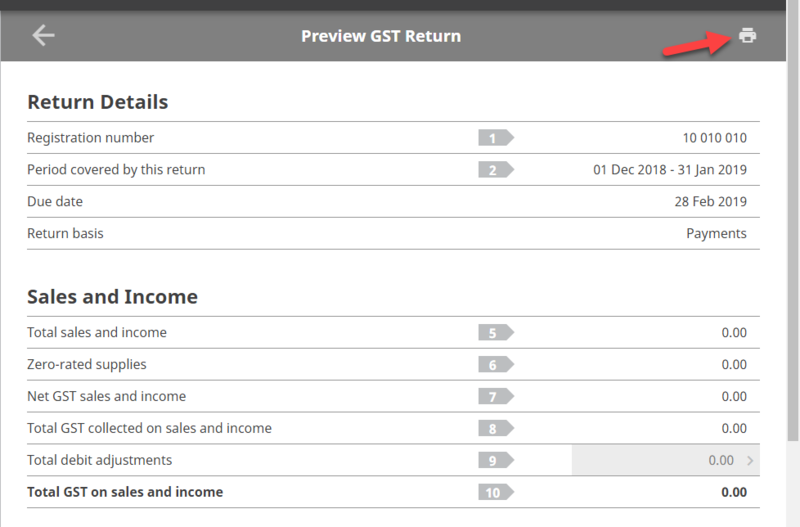 TIP: If you're creating your first GST return in Focus, click on Create first GST Return. Each report includes a list of the items that make up the GST return. The list is divided into three sections for GST; Business, Personal and Exempt. Go through the sections and make sure the items have been coded correctly and given the correct GST type. For example, any electricity payments for the personal portion of your house are sitting in the Personal section. If anything needs to be corrected, locate the transaction in the Actuals screen and correct it. Once you're happy with the information in the GST report you can finalise it by clicking on Save Final. By finalising the report all the items for the period are locked into it. The GST type on these items can't be changed as these changes will void your return with IRD. All that remains is for you to file the return with IRD. TIP: You can go directly to myIR online services from the Reports screen and manually file your GST return. Clicking on the Print button in the GST report will download the report to your computer's Downloads folder. Once you've downloaded it you can open it to print from the Downloads folder. Why are the balances in my farm business different?